Dr Lawrence Yang knew he wanted to be a doctor by the time he was 12 years old. His father, who was trained in Asia and did his residency at Dalhousie University, was a family physician in Surrey. Young Lawrence wanted to follow the same path: “It seemed like a really good job that I ought to try”. Challenges with anxiety only grew once he joined his father’s practice in Whalley, treating mainly low-income families, the homeless and the street-entrenched population. He dealt with complex cases - mental health issues combined with multiple other chronic diseases. While he was drawn to this kind of practice, his own issues with anxiety worsened. “I wanted to provide better care to my patients, but our system couldn’t seem to get there. There are so many people with significant psychological trauma, and when they encounter the health system, they seem to be re-traumatized over and over. Understanding that he was not alone was the first step. 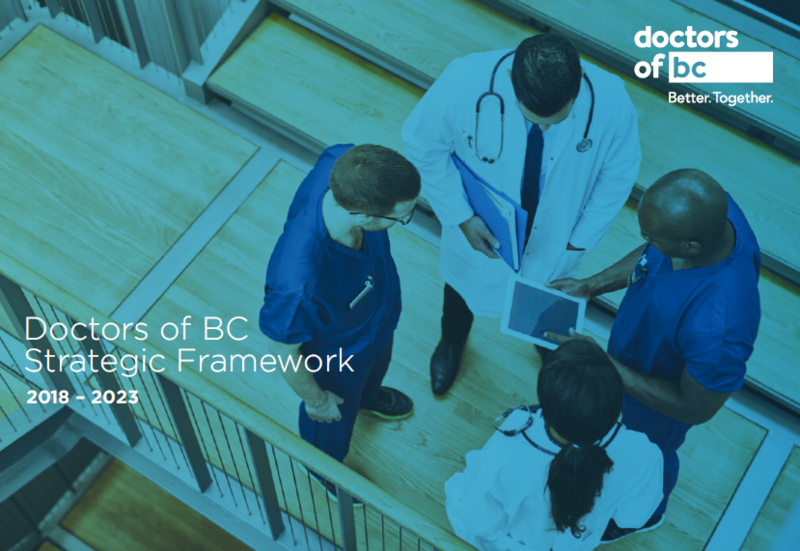 What Dr Yang describes as the “monumental” turning point was his introduction to the Physician Quality Improvement (PQI) program, an initiative of the Specialists Services Committee (SSC), which is a partnership of Doctors of BC and the BC government. Through Dr Yang’s work with the division, he learned about the Health Data Coalition (HDC), the next step in his quality improvement journey. HDC provided a valuable tool to understand how his practice was doing from a ‘big picture’ perspective. “HDC really helps us to reflect on various metrics within our practice to see how we’re doing compared to various virtually cohorted clinical populations - either our anonymized GP practices in our area, or province wide. HDC provides a lens that gives clinical self-awareness and a new perspective of measurement for our eyes only (sharing is optional). How can we make coordinated strategic meaningful improvements if we have no idea how we are really doing in the first place? This far along on his personal and professional journey, Dr Yang has accepted that we have ideals that we fall short of every day, and that’s OK. He feels his greatest satisfaction in the small ‘wins’, the short intimate interactions with patients where he feels he has had a positive impact on their lives. “Where the patients are empowered, they’ve made a turn in their trajectory, where they smile at you and tell you, I think I know what to do now, I believe I will improve, I hope not to see you more than once this next year… Getting people to trust the world again, their own bodies, and their own capacity for self-improvement, healing and wellness. Doctors of BC is interested in profiling physicians you know who are making a positive difference for their patients and in their communities. Drop us a line at communications@doctorsofbc.ca (link sends e-mail)with your suggestions.